Are you looking for the best hosting deals in 2019? Great. Now we’ll tell you where to host your website securely and get huge discounts in hosting plans. This is a limited time deal and you can save 70% money on hosting in these days. GreenGeeks is a well-known web hosting provider since 2008. They deliver fast, reliable, and affordable hosting solution for customers of all types with incredible features and most modern technologies. 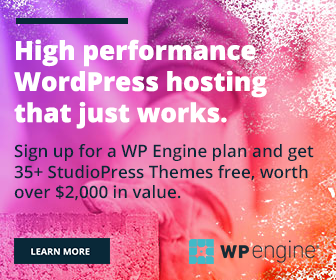 Unlimited storage and data transfer, daily backups, advanced security, faster loading, 1-click WordPress installation, and free Cloudflare CDN are some notable advantages of their GreenGeeks hostings. All plans come with 24/7 customer support and 30-days money back guarantee. The company reduced their hosting charges from $9.95/mo to $2.95/mo for basic plans last week. The new changes will reflect in other upgraded plans also. GreenGeeks provides unlimited storage space and bandwidth to host any kind of website including business, news, e-commerce, and blogs. Each plan contains a free domain and you can secure it using Wildcard SSL for free. As you know, HTTPS certificate is a crucial thing to evaluate the quality of your business and rank higher in search engines. It also allows you to host unlimited domains in every hosting plan which is very helpful to build a strong network of websites or bring all your sites under one roof. GreenGeeks will backup your contents and database every night to the highly secured cloud server to safeguard them against unexpected loss or hardware failure. As said before, GreenGeeks is reliable and adopts the latest technologies to server your contents faster to the end-users. It implements advanced security standards to fix vulnerabilities from the very initial stage and protect your data from being hacked or infected. 24/7 dedicated customer support is available to solve your queries, complaints if any and you can contact them through phone, chat or ticket systems. 30 days money back guarantee is another advantage of GreenGeeks hosting and you will get the full refund within the time in case you are not satisfied with their service.